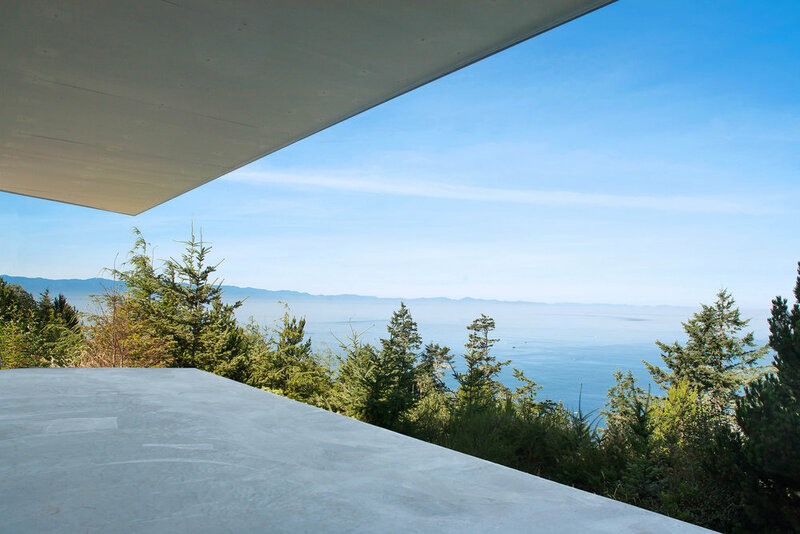 This craggy H-shaped house wraps around itself to contain two inner courtyards. 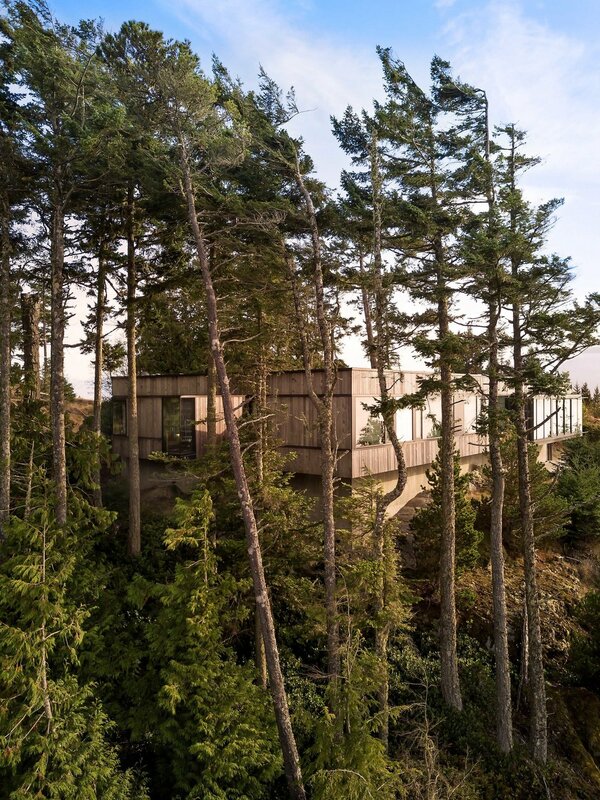 All of the house’s windows and doors point toward ancient moss-covered rocks or the Pacific Ocean, creating lively contrasts as one moves through the house. 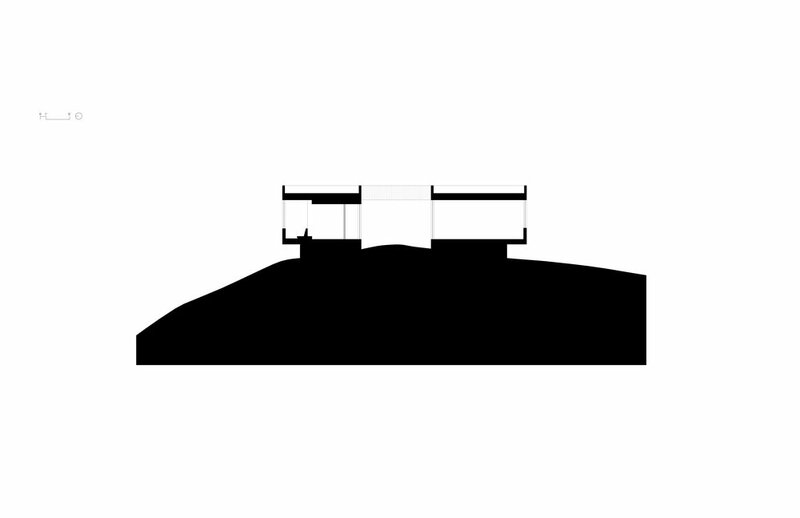 Low-slung and modest, the house has a constant parapet height, to emphasize and visually contain the undulating concrete and courtyard screen that is scribed to the existing contours of the rock. 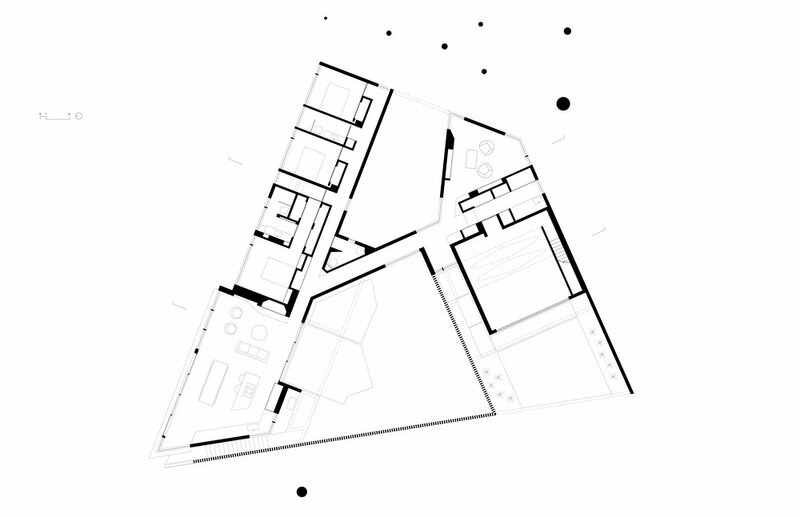 Externally the form of the house is quiet and solid, belying an inner complexity and spatial variety in plan. 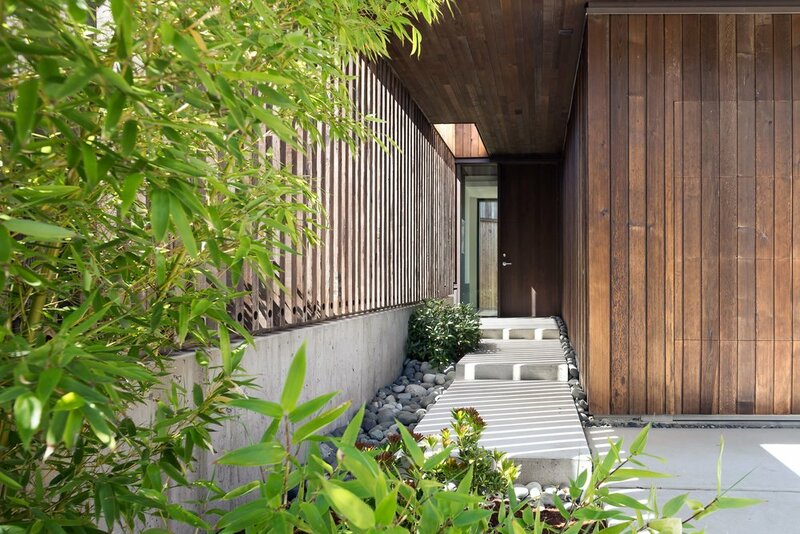 The house is comprehensive tribute to wood: for its efficient and ambitious engineered wood structure, for its delicate yet robust courtyard screening, and for its hard-wearing traditional board and batten cladding that will last hundreds of years. The absolute minimum number of 2x6 light-wood frame shear walls were sculpted and carved to allow for large window and doors in all spaces. Soaring engineered LVL beams (laminated veneer lumber) were pushed to their limit, spanning more than 30’ without posts to hold up an outdoor dining roof, to define natural outdoor courtyard areas, and to make a typically generic parking area into a well-composed and inviting outdoor “room”.